Dr. Goetcheus is co-founder of Christ House. 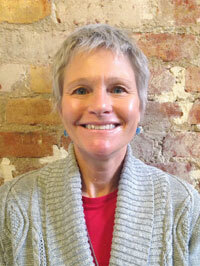 She is also a founder of Columbia Road Health Services and Unity Health Services. She is the recipient of numerous regional and national awards that recognize her dedication to serving the health needs of the poor in Washington, DC. Dr. Goetcheus was named Doctor of the Year by the American Academy of Family Physicians in 1991, and was deemed a “Woman of Mercy” by the Sisters of Mercy in 1988. She was inducted into the District of Columbia Women’s Hall of Fame in 1989, received the 1990 Good Samaritan Award from the National Catholic Development Conference, was recognized as the Public Citizen of the Year in 1993 by the National Association of Social Workers, and was named a Washingtonian of the Year in 1995 by Washingtonian Magazine. Also in ’95, Dr. Goetcheus was recognized by her alma mater as the Distinguished Medical Alumni at the University of Indiana School of Medicine. In 2002, she received the American Medical Association Pride in Profession Award. In 2017, Dr. Goetcheus received the Philip W. Brickner National Leadership Award which recognizes individuals who have significantly strengthened service and/or advocacy that addresses the health status of people without homes. Allen is is co-founder of Christ House and was President from 1985-2016. He is an ordained minister in the United Methodist Church and serves as pastor and director of our Spiritual Life programs. Lizzie oversees all administrative operations of Christ House, including finance, development, volunteers, food and hospitality services, custodial/maintenance and the Kairos program. She formally served as our Director of Volunteers and most recently as the Director of our Yearlong Volunteer Program and chaplain to Christ House patients. Lizzie holds a Master of Divinity degree from George W. Truett Theological Seminary at Baylor University and was ordained by Calvary Baptist Church in Waco, TX. To email Lizzie, click here. Mary has full responsibility for clinical operations of the Medical Unit. Through a variety of management and supervisory activities, Mary ensures provision of quality patient care. Mary has served on the medical staff at Christ House since November 1986, shortly after our inception. Mary is a graduate of Catholic University in Washington, DC, and is a Certified Registered Nurse Practitioner (CRNP). Lydia welcomes and coordinates roughly 250 volunteers each month including local volunteers, work groups, and Kairos members. She manages in-kind donations and engages community partners who provide services to Christ House. Lydia also oversees our Year-Long Volunteer program. In addition to recruiting, selecting, and orienting year-long volunteers, she guides them throughout their year of service and facilitates formative spiritual and social justice opportunities. To email Lydia, click here. Eric coordinates permanent housing and supportive services that are offered through the Kairos Program, Christ House’s long-term housing community. He holds a Master of Divinity degree from Mercer University’s McAfee School of Theology and was ordained by Peachtree Baptist Church in Atlanta, GA. To email Eric, click here. Miri supervises and oversees all aspects of our full-service kitchen and dining room, including meal planning, selecting and acquiring all food items and supplies, and maintaining a warm, nurturing, and hospitable environment for our patients, Kairos members and staff. Miri works alongside our kitchen volunteers and incorporates donations into the weekly menu with the goal of creating nutritious meals for our patients and Kairos members. To email Miri, click here. Chris teaches the New Day Addictions Recovery Program for Christ House patients. New Day is an intensive psychoeducational class that teaches patients the impact of addictions, major illness and other traumas on body, mind, and spirit. The class helps patients to identify and utilize coping skills and resources that can help on the journey of recovery. Chris also meets with individual patients and Kairos members for addictions recovery counseling. She is a Certified Addictions Counselor. To email Chris, click here. Bill works to ensure that patients obtain insurance, government entitlements, mental health support, substance abuse recovery treatment, housing placement assistance, and other supportive services designed to bring an end to their homelessness. Bill is a graduate of Virginia Tech and previously worked as an outreach worker, offering case management support to people living on the streets of DC. Rick helps patients obtain insurance, government entitlements, mental health support, substance abuse recovery treatment, housing placement assistance, and other supportive services designed to bring an end to their homelessness. Rick is a graduate of Nyack College, Syracuse University, and Columbia University. Chris coordinates all building operations at Christ House, including custodial, building maintenance and all renovation projects. Chris works alongside our maintenance coordinator and custodial staff to ensure that the day to day building operations remain fully functional and oversees all major renovations. To email Chris, click here.